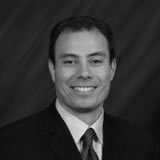 Sean Nakamoto is commonly considered a thought leader and expert in the area of medical office opportunities and finance. Mr. Nakamoto is credited as being a founding senior member of each of the two medical office REITs in Canada. He has acquired over 75 medical office buildings and completed in excess of 100 first, second and mezzanine mortgages on MOBs. Mr. Nakamoto has a twenty year track record of success on all sides of real estate transactions including acquisitions, dispositions, finance, and valuations. He is adept in sourcing, structuring and acquiring accretive acquisitions, enhancing profitability through creative asset management; devising strategic financing structures and developing start-ups into matured and competitive organizations. Most recently, Mr. Nakamoto was the Chief Financial Officer and Senior Vice President of Acquisitions for GT Canada Medical Properties REIT where he completed a public REIT IPO, acquired a portfolio of medical office buildings and sourced, negotiated and closed on several first and second mortgages and a credit facility. He was also responsible for public quarterly and annual reporting and all of the finance/accounting function. Prior to joining GT Canada, he was Chief Financial Officer for one of Canada’s leading medical real estate and healthcare consulting companies. His responsibilities included finance, accounting, divisional & project specific profitability forecasting, family health organization billing & payment structures and consulting on development/JV structures. As a founding member of NorthWest Healthcare Properties, he held the position of Vice President of Acquisitions and Finance where he was responsible for corporate strategy, corporate finance, real estate acquisitions and finance and lender/investor reporting. He was directly involved in the acquisition and financing of over 40 medical office buildings and sourcing and executing a 9 figure corporate credit facility. His responsibilities also included ‘Special Projects’ such as real estate developments and complex asset management initiatives. Mr. Nakamoto also spent five years as an Investment Banker at TD Securities, in the Real Estate Group, where he was involved in raising in excess of $4 billion in corporate debt financings as well as being involved in public real estate equity offerings, private placements, formation of a commercial mortgage backed securities program, several high profile real estate M&A mandates and commercial real estate dispositions. Previous experience also includes commercial real estate valuation and investment sales and finance with Jones Lang Wootten. Mr. Nakamoto holds an Honours Bachelor of Commerce from the University of Guelph, participated in the Urban Land Economics program at the University of British Columbia and holds his Canadian Securities Course. Mr. Nakamoto is currently a Trustee of Maplewood International Real Estate Investment Trust and is the Chairman of the Governance, Compensation and Nominating Committee.